The North Lake Tahoe region has one of the highest concentration of winter resorts in the country. With eight major resorts to choose from, there is something for all levels and styles of skiing and snowboarding. Some mountains boast a more family friendly atmosphere and some are better known for their challenging terrain. No matter what your looking for in a day of skiing or riding, you will find it on the North Shore. Squaw Valley is widely known as one of North America�s most renowned ski resorts, with a legacy of ski culture and mountain energy dating back to the 1960 Winter Olympics, and a spirit of adventure that has driven professional freeskiers to call it home. A true local�s favorite, Alpine Meadows is known for its down-home feel and approachable hospitality, all of which keep Alpine Meadows true to it�s roots and mean the skiing and riding experience always comes first. For the modern family that prefers substance with a unique, laid-back style, Northstar California Resort combines California cool with high-end luxury, on-mountain exhilaration with a sophisticated alpine village atmosphere. Halfway between one of North America�s coolest mountain towns and one of the world�s most beautiful alpine lakes, Northstar is a destination on the rise, having poured nearly a billion dollars into creating Lake Tahoe�s premier luxury snowsports experience. Upscale shops, refined dining and Lake Tahoe�s only five-star slopeside lodging is married to impeccable grooming, incredible tree skiing and enough variety to challenge every level of skier (and world-class terrain parks to keep the kids busy). For passionate skiing families and adventure enthusiasts alike, Sugar Bowl offers an extraordinary mountain resort experience with four great peaks, a world class ski team, and a magical snowbound village. Sugar Bowl is the mountain serious skiers and riders love with vast and varied terrain, the most snow in Tahoe with an average of 500� every season, shortest lift lines and least crowded slopes, massive backcountry for skiers and riders and world-class instruction for beginners to experts. Sugar Bowl is also the closest location with hassle free access at the top of Donner Summit and free slopeside parking. North Americas largest XC resort, Royal Gorge offers 200km of groomed trails across 6,000 acres of pristine terrain, on six distinct track systems featuring eight different warming huts. From classic striding to XC skating, snowshoeing, and even snow kiting, Royal Gorge offers a wonderful opportunity to enjoy scenic winter adventures with some of the finest views in the Sierra. Under new ownership and operation of neighboring Sugar Bowl Resort, Royal Gorge skiers are rejoicing at extensive enhancement and improvements, as Royal Gorge is on a triumphant return to its once & former glory. Boreal Mountain Resort is Tahoe�s best value with terrific discounted packages and creative terrain parks. Always the first resort in the area to open, Boreal�s lifts spin from 9:00am � 9:00pm daily providing skiers and riders easy access to the slopes, day or night. Those new to snow will enjoy the Take 3, Ride FREE program offering a free season pass upon completion of three lessons. With five parks and a pipe, Boreal is a terrain park enthusiasts� dream come true. Woodward Tahoe, located steps away from the slopes, is Tahoe�s only action sport training facility offering indoor trampolines, foam pits, skateparks, ramps and more. As the longest running ski resort in California, Soda Springs Mountain Resort is the best place to explore the magic of winter in Tahoe. Secluded in the picturesque pines and conveniently located directly off of Interstate-80, the welcoming resort spirit and relaxed atmosphere is perfect for families new to snow. Soda Springs Mountain Resort specialized is learning to ski and snowboard with affordable lesson packages for all ages. In fact, Soda Springs Mountain Resort offers Planet Kids, a dedicated snowplay area designed for children ages 8 & under. Planet Kids is best described as a snow playground featuring tubing carousals, snow-tubing lanes, ski/snowboard specific learning areas, snow volcanoes to climb and more. If you�re looking to speed things up a bit, Tube Townis Tahoe�s premier snow tubing area with up to 20 runs and a 400ft. surface lift. Discover an experience like no other at Diamond Peak Ski Resort. Located in picturesque Incline Village,things are different here. This is a place with miles of welcoming, uncrowded runs. Easy access from lot to lift. An award-winning ski school for all experience levels. The most breathtaking views in Tahoe. 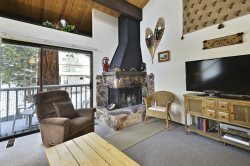 And so much more�all of this makes Diamond Peak Tahoe�s best value, year after year. Learn more about Diamond Peak. Homewood Mountain Resort offers over 2,000 acres of the best skiing and snowboarding terrain in the Lake Tahoe region. From groomed boulevards to our trademark hidden powder stashes, Homewood has it all. And with Ellis Peak sheltering our entire mountain from the high-ridge winds, the term �wind hold� is almost unheard of at Homewood. With an average snowfall of around 450 inches per season, and a whopping 300 days of sunshine per year, it�s no wonder that SKI Magazine ranked Homewood amongst the Top 10 resorts in California and Nevada in 2012.